Weather Risk Transfer (WRT) mechanisms are increasingly valuable to wind energy owners and asset managers, allowing them to protect themselves against the financial impact of low wind speeds. Following a particularly severe ‘wind drought’ across Europe this Summer, which saw European utilities cite low winds as a major factor in financial underperformance, Senior Analyst, Geoffrey Taunton-Collins explores the role of Weather Risk Transfer in stabilising revenues and unlocking additional asset value. How has the renewable energy market evolved? Weather risk products have been around since the late 1990s. However, in the last few years there have been three key developments. Firstly, longer contracts are now offered. Whereas previously they tended to run for three years, now contracts can last for up to ten years, which matches much better the loan tenor length of renewables projects. Secondly, there has been a reduction in basis risk over the past two decades. 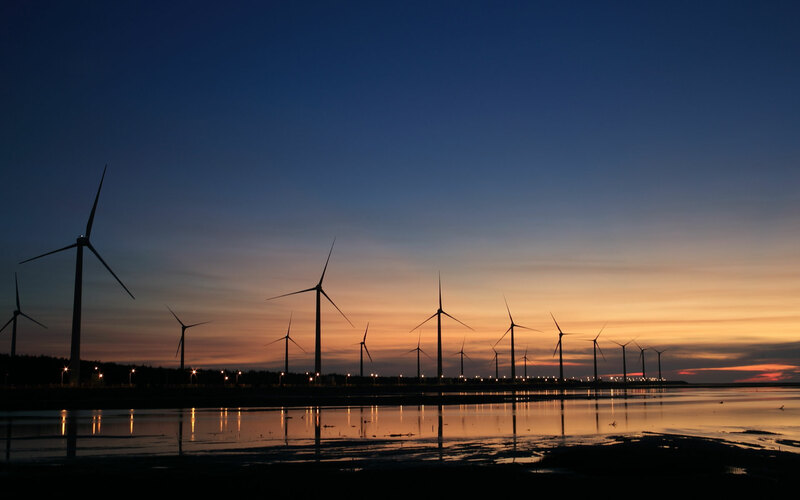 Before, projects relied upon wind speed measurements taken at nearby airports or cities; now, measurement takes place at project sites themselves using increasingly sophisticated measurement tools, including SCADA data in the turbines themselves. The third development is an ability to combine weather risk cover with spot price risk cover. This provides much better coverage of the risks that projects can face. For instance, if a project has an expected revenue of $50 million, then GCube will cover a reduction to $48 million if that is caused by a drop in the spot price or winds underperforming. Which regions require weather risk mitigation? Resource underperformance happens all around the World. There are times when there is no wind in Mexico, or no sun in Spain. Most of the interest in weather risk mitigation comes from more developed markets, such as the EU, U.S.A. and Australia, but there is global interest from emerging markets too, such as India, Pakistan and Latin America. There are two points worth bearing in mind about large portfolios that make WRT products a good idea. For a start, even owners with portfolios spread across a continent can suffer from widespread resource underperformance. The 2018 summer heatwave in Europe led to increased solar output but was also coupled with decreased wind speeds that led to wind underperformance throughout the summer. Similarly, in the U.S.A in 2015 and Australia in 2014, asset owners with large portfolios still suffered across-the-board underperformance. For those with assets spread across several continents, a weather risk product is still valuable. Even though they might consider themselves to be protected against localised underperformance due to the geographical spread of their portfolios, financing occurs on an individual, project-by-project basis via special purpose vehicles. This individual basis means that financing terms using that project will improve on an individual basis: a geographical spread can’t guarantee a reliable project return. This means that a weather risk product is still useful in situations where a portfolio is spread across different continents. All in all, GCube’s WRT product is an effective way to minimise financial loss in a market at risk of increasingly volatile weather systems. As we saw this summer, when weather becomes more extreme a ten year WRT product will protect the finances of asset owners and managers, no matter how large or diversified their portfolio.